Margaret was highly regarded and appreciated for her commitment to good writing, her hard work and attention to detail, and her willingness to help authors become better writers. As one who benefited from her sharp blue pencil, Margaret insisted that everyone could become a better writer—and she helped to insure that you made progress. These prizes honor Margaret by recognizing good writing and editing by our colleagues. There are two awards. 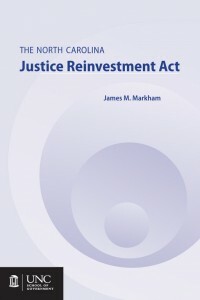 One is for “collaboration between authors and editors who achieve the plain style for which Margaret Taylor was highly regarded.” For this award the selection committee unanimously recommended The North Carolina Reinvestment Act, edited by Jennifer Henderson and written by Jamie Markham. The second award is “for an author who creates an outstanding writing that displays the clear and direct style Margaret Taylor brought to Institute publications for so many years.” The selection committee unanimously recommended Amendment One, North Carolina Public Employers, and Domestic Partner Benefits, a Public Employment Law Bulletin written by Diane Juffras. Congratulations to Jennifer, Jamie, and Diane. There is much good writing and editing at the School, and I am happy that we can celebrate some of it through the Margaret Taylor Writing Prizes. Special thanks to the hard-working Selection Committee for identifying these deserving recipients: Margaret Henderson, Katrina Hunt, Laurie Mesibov, and Chuck Szypszak (Chair). Congrats to Jennifer, Jamie and Diane. I thank the selection committee for this award. I am lucky indeed to get paid for doing the two things I love to do most in the world…read and write! I would also like to thank Jamie for his hard work and close and responsive collaboration on this publication. He is so great to work with and his excellent writing made this job a pleasure.